How Does the Moon Give Us Light? I feel like we could spend months learning about the moon. There are so many ways to learn and play with a moon theme, and we are loving this unit of My Father's World Kindergarten. We've especially enjoyed the sensory play aspects of learning about the moon including making moon dough, our moon dust paint recipe, and an erupting moon dust prewriting tray. 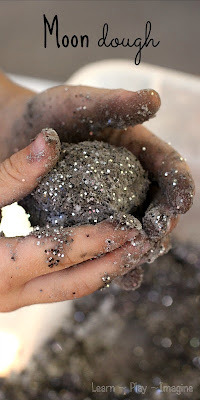 Of course, in addition to sensory play we've done many activities to learn facts about the moon. One of our main focuses is on how we get light from the moon. The theme for our moon unit is "I am the Light of the World". You may remember from our study of the sun that our theme was "Jesus is the Light of the World". We are the light of the world in the same way that the moon gives us light. 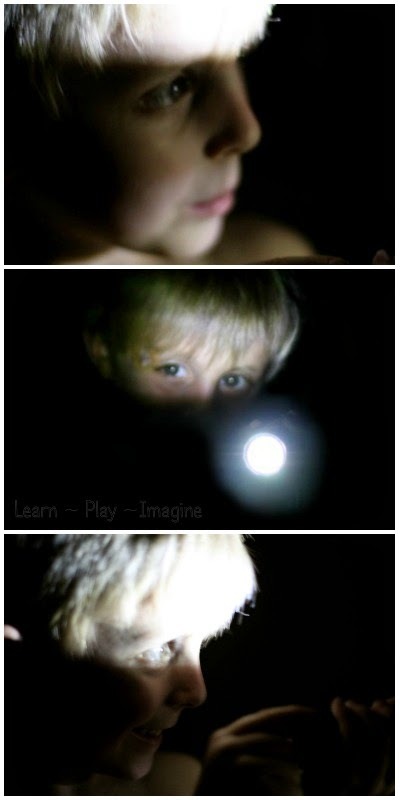 To demonstrate how the moon gives us light at night J-Bug and I did a simple activity. All you need is a dark room, a flashlight, and a mirror. We did this activity in a windowless bathroom. I turned off the light and gave J-Bug a flashlight. I instructed him to turn it on and aim it at his reflection in the mirror. The light reflected from the mirror right onto J-Bug's face, just as light from the sun reflects from the moon, giving us light. Like the moon reflecting light from the sun, we reflect God's light when we know Him and trust Him as savior. 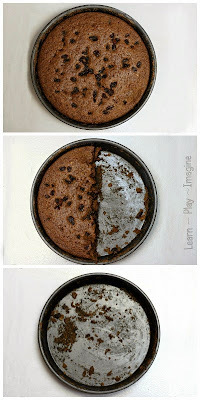 It was such a simple yet effective way to learn about the moon and how it gives us light.